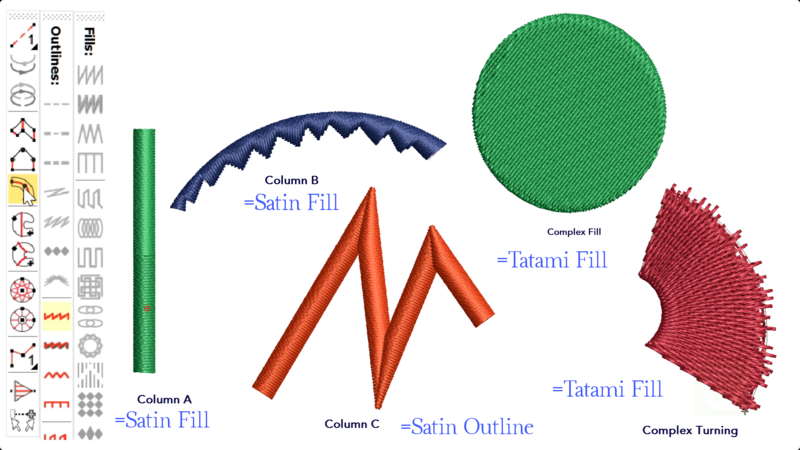 Templates are designed to save time and give a consistent result for all of your design work. 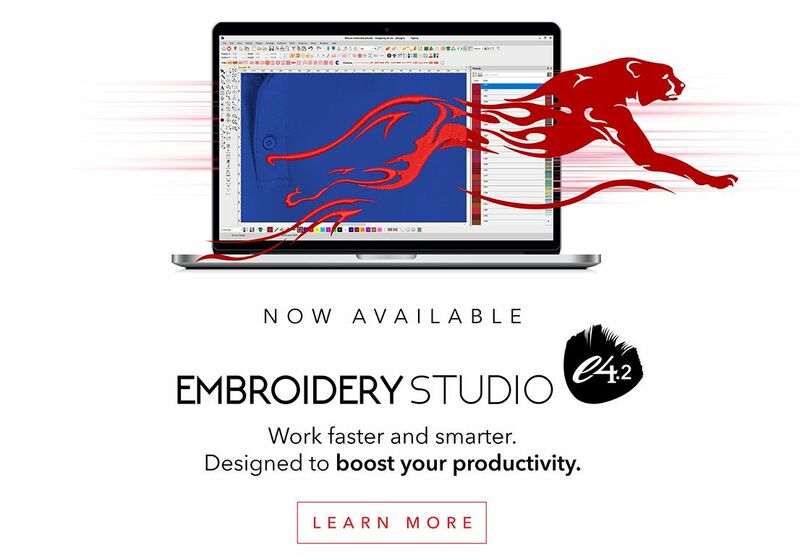 Embroidery Studio 4.2 allows you to save specific property values to 6 of your main digitizing tools. For example you may, in one template prefer the turning satin tool to default to tatami stitch with a specific stitch spacing and underlay value, while in another template the same tool may default to a satin fill and different underlay values. Make the adjustments and from the Property box choose the SAVE button. 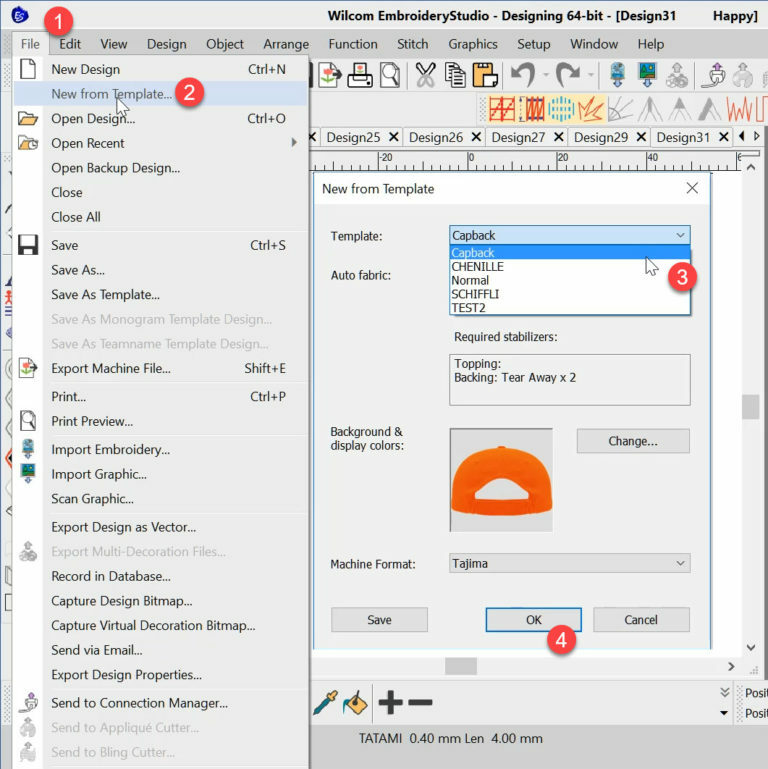 Creating a template is still accomplished by Setting up some basic Template values and saving from the File Menu. As with any other file you can save the new template with a meaningful name. I recommend you set up your Normal/Default template with the properties that are most likely to be common to subsequent templates. 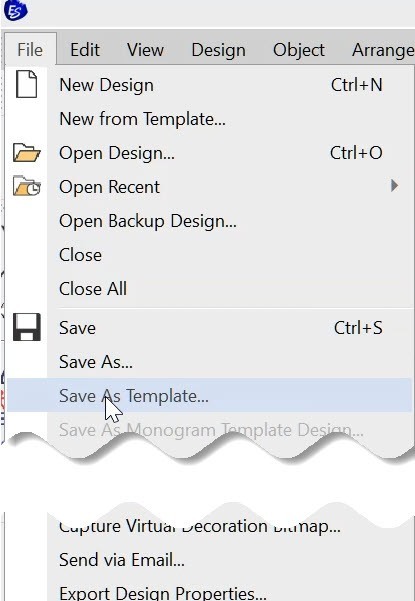 When creating a new file you will have the opportunity to create a new file based on any of your saved templates. Thank you. Loving Studio E4.2 and the help that I am getting.